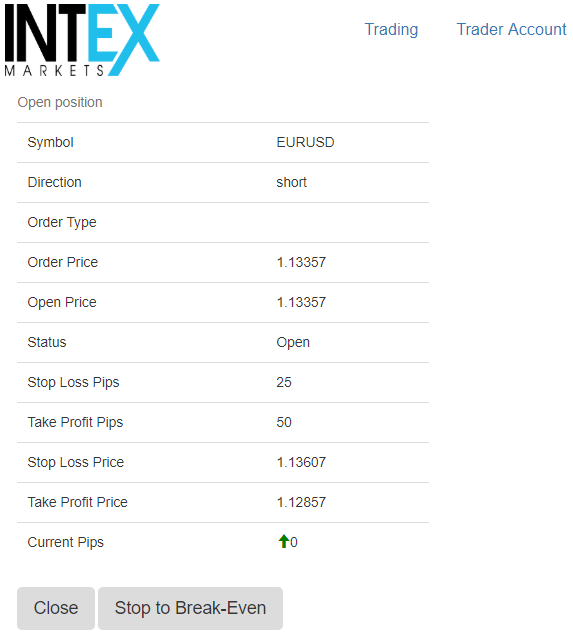 INTEX Markets | INTEX Markets is a Proprietary Trading firm that builds algorithmic trading software. We utilise directional data harnessed by machine learning to maximize returns. 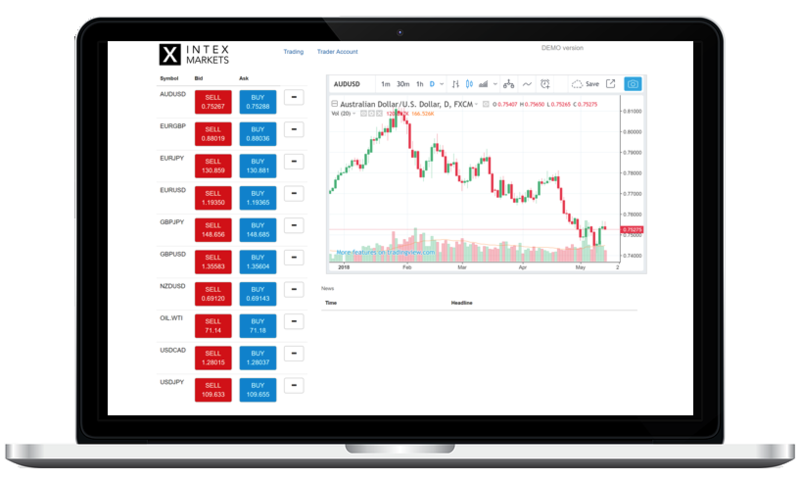 INTEX Markets is a Proprietary Trading firm that has built algorithmic trading software to optimize Trading performance. We want Traders that have an edge in predicting market direction and want access to more capital to trade. Our machine learning based algorithm manages the risk and capital allocation so you can focus on predicting direction. Do you struggle to manage risk? If you can predict market direction but struggle to let winning trades run, move stop losses further away or worse yet double up on losing trades then our system may be for you. You, as a trader set the number of trades, the risk reward ratio and we then set you targets and then our algorithms do the rest! 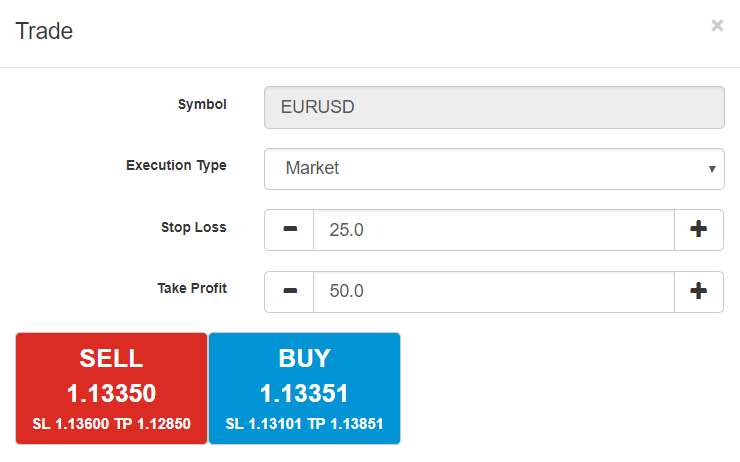 You can execute at the current market price or leave an order to buy or sell above or below the current market price. You then set a set stop loss a set distance away and the take profit automatically adjusts based on the risk reward ratio. Once the trade has been executed you can move the stop to break even. If you have a custom Trading Style, then let us know. 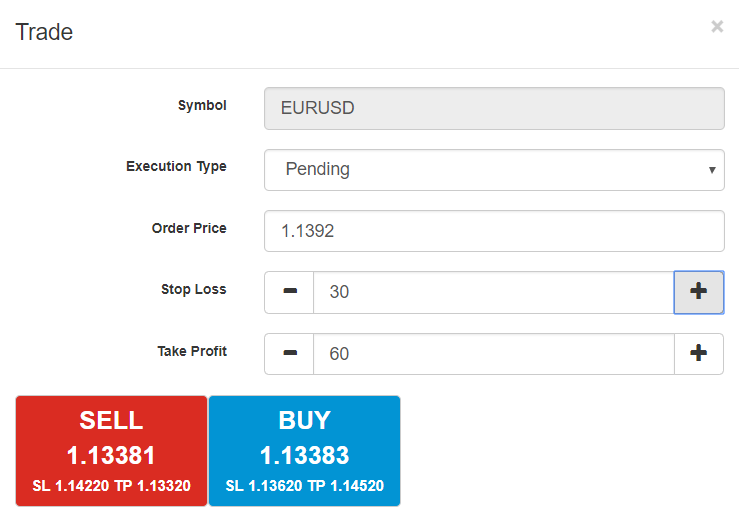 We are happy to build a bespoke Trading Challenge. We also have a demo environment that you can practice on and if you think the platform needs improving or you want more, then tell us. We want to offer the best trading environment for our traders. Our goal is to find professional trading talent that have an edge in predicting market direction. We then optimise their performance and allocate company funds to each trader. You set the number of Trades you want the Challenge to last for. You then decide your Risk to Reward Ratio based on your Trading Style. We then set you a Target you need to achieve. We allocate company funds behind good Traders and reward them with bonus' based on their performance. You set the number of Trades at 100. You set the Risk to Reward Ratio of 1:2. This means if you Risk 25 pips on a Trade you would need to make 50 pips for it to count as winner. We then set you a percentage target to pass. The higher the percentage you get the more we pay out. 45% would get £1,000. 50% would get £10,000 and 55% would get £100,000. (The payouts assume a £100 sign up fee but we accept GBP, EUR or USD depending on your preference). We understand it seems unrealistic to get such big payouts for such a small entry fee. So, if you want to speak with one of our team first then please contact us. We are happy to talk through the mechanics of what we do and why we want good traders, unlike a traditional b-book system.